White Chocolate Peppermint Christmas Brownies are a delicious way to usher in the baking season. 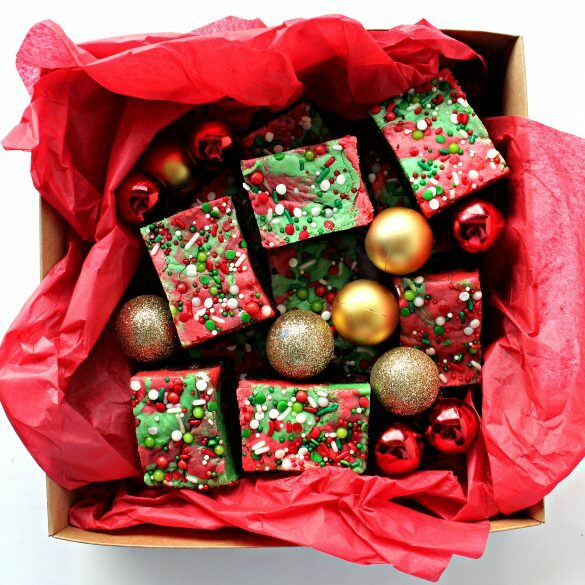 Christmas colors and winter flavors are swirled into these share-able, mail-able, irresistible treats. 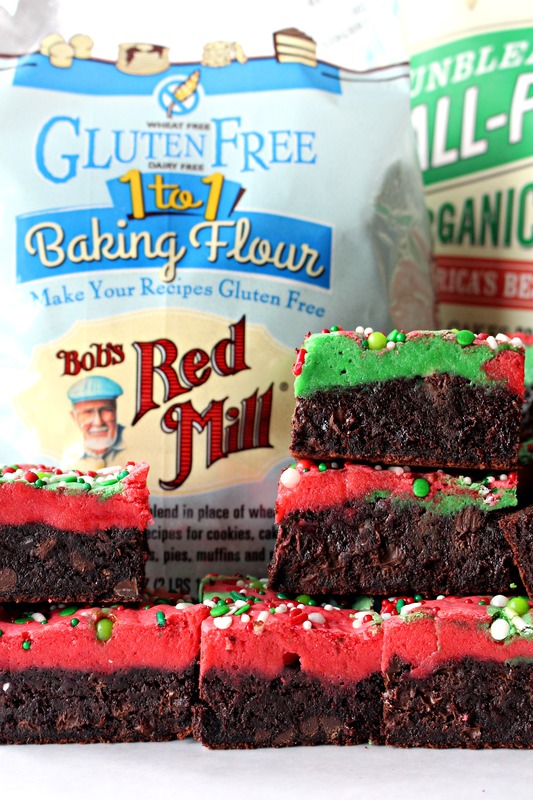 This post is sponsored by Bob’s Red Mill, whose products make it easy to create gifts of home baked love. Baking for others is an act of love that tastes good. 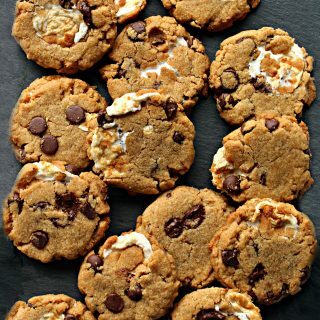 When I began publishing The Monday Box, I wanted to share care package recipes for baked goods that would be sturdy enough and stay fresh long enough to send from one coast to the other. I baked for college care packages. I baked for out-of-state friends and family. Then I began baking for deployed military across the world. For military care packages, some Monday Box recipes stay fresh for weeks. Baking makes me smile. 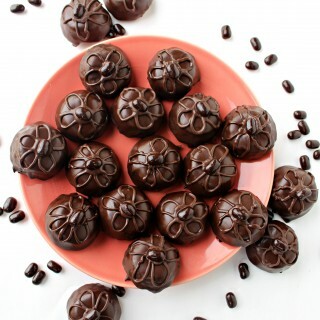 My hope is that receiving a package full of sweet things lovingly baked, makes my care package recipients smile as well. I used Bob’s Gluten Free 1-to-1 Baking Flour to make this batch of White Chocolate Peppermint Christmas Brownies. The brownies can also be made using Bob’s All-Purpose wheat flour. 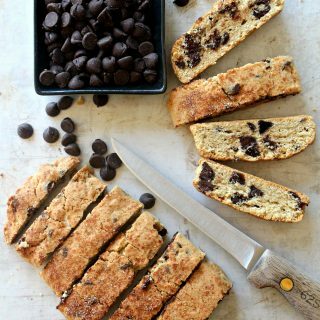 With either flour, the results are equally melt-in-your-mouth, fudgy bars. 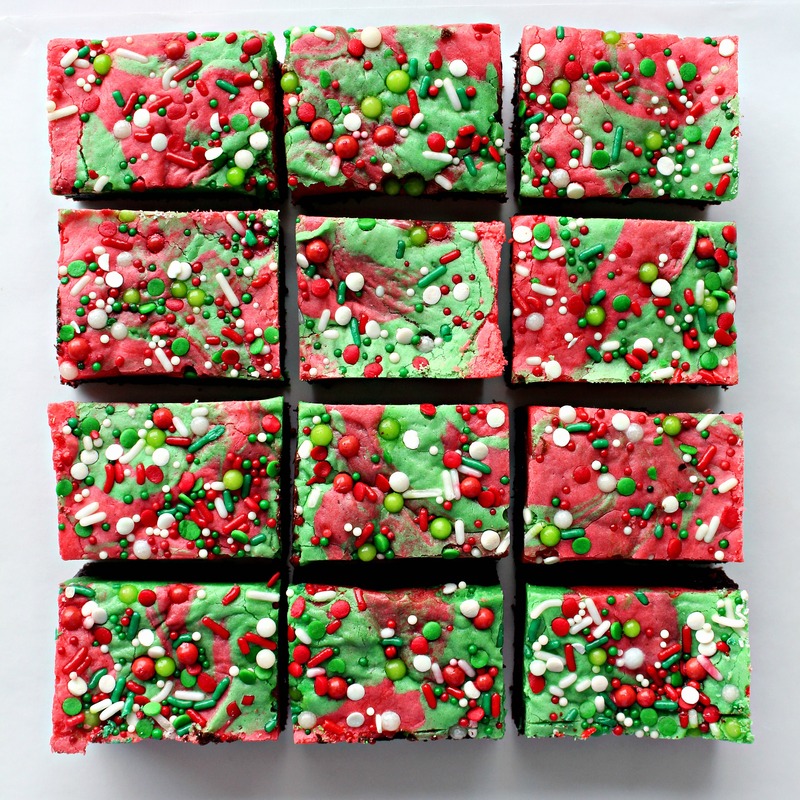 This batch of White Chocolate Peppermint Christmas Brownies was baked for my daughter, Meira, an elementary special education teacher, to share with her co-teachers at school. Teachers impact the future of our world and I like to let them know that they are appreciated. Meira has to be gluten free and usually can’t enjoy the treats in the faculty room. This time, she can spread some sweet holiday cheer and join the snacking! 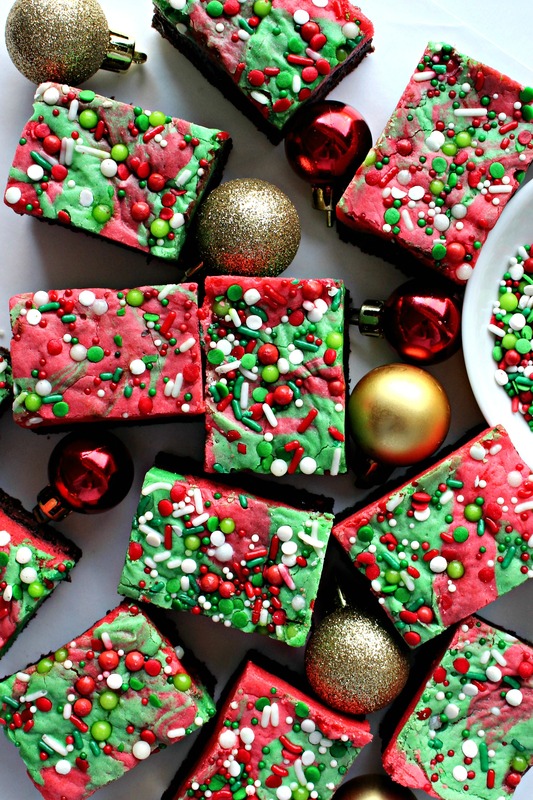 No one will notice that this batch of White Chocolate Peppermint Christmas Brownies are gluten free. 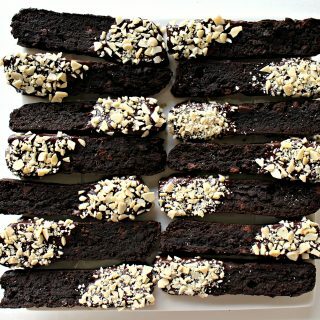 They are fudgy and chewy, just like brownies made with wheat flour. Bob’s Gluten Free 1-to-1 Baking Flour already contains xanthan gum for thickening and binding. For these brownies, I added an extra teaspoon of xanthan gum for a chewier texture. I baked the White Chocolate Peppermint Christmas Brownies in two 8” square glass baking pans. The smaller size is easier to wrap and fit in a box. Send one pan of brownies and freeze the other for mailing later, or send both pans so that there are plenty of brownies to share. Another option is to bake this recipe in a rectangular 9”x 13” pan. Brownies baked in the larger pan will be slightly thinner. 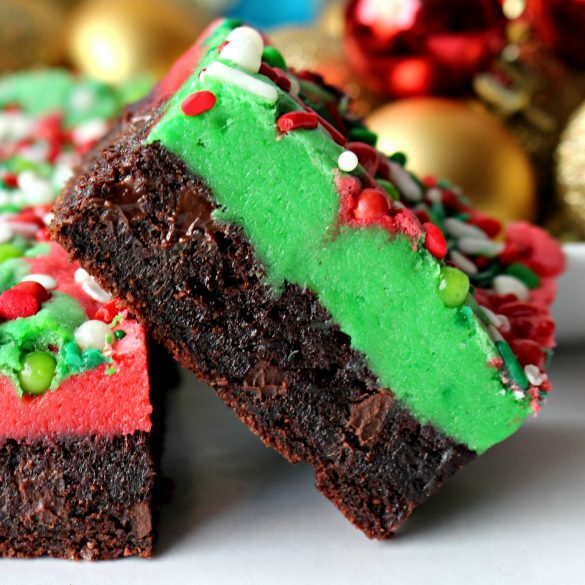 A gift box of these brownies will cause smiles near or far. 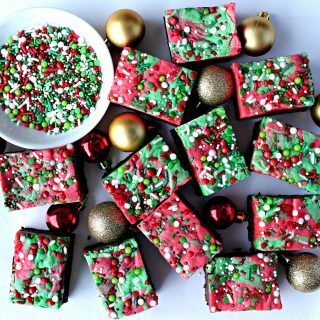 White Chocolate Peppermint Christmas Brownies travel well and when packed in an airtight container, will stay fresh for up to two weeks! 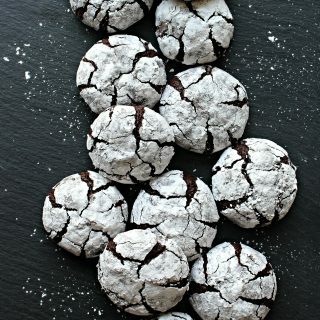 With who will you share some home baked love this holiday season? Line two 8” x 8” pans with foil, allowing for a little overhang (for easy lifting later) and spray lightly with non-stick spray. FOR THE BROWNIE LAYER: In a medium bowl, whisk together the flour, cocoa, baking powder, salt and espresso powder. Set aside. In the bowl of an electric mixer, combine the shortening, sugar, eggs, and peppermint extract. Beat until light in color and fluffy (about 3 minutes). Divide the batter in half and spread one half of the brownie batter evenly into each of the prepared pans. Break the white chocolate bars into chunks, then place the white chocolate and shortening into a medium sized microwave safe bowl. Heat in the microwave 1 minute at 50% power. Stir. If not completely melted, return to microwave for 10 second intervals at 50% power, stirring between heating, until completely melted and combined. White chocolate burns easily. Though tempting, don’t try to shorten melting time by using full power. Set aside. In the bowl of an electric mixer, beat eggs until foamy (about 3 minutes). Mix in sugar, vanilla, peppermint, and melted chocolate. Add flour and salt and stir until incorporated. The batter will be thick. Divide the batter in half and place each half into a small bowl. Add a few drops of green food color to one bowl and a few drops of red food color to the other bowl. Mix until the colors are uniform. Pinch off pieces of colored dough (1-2 heaping tablespoons worth) and scatter randomly across the surface of the brownie batter in both pans until all of the colored batter is used. 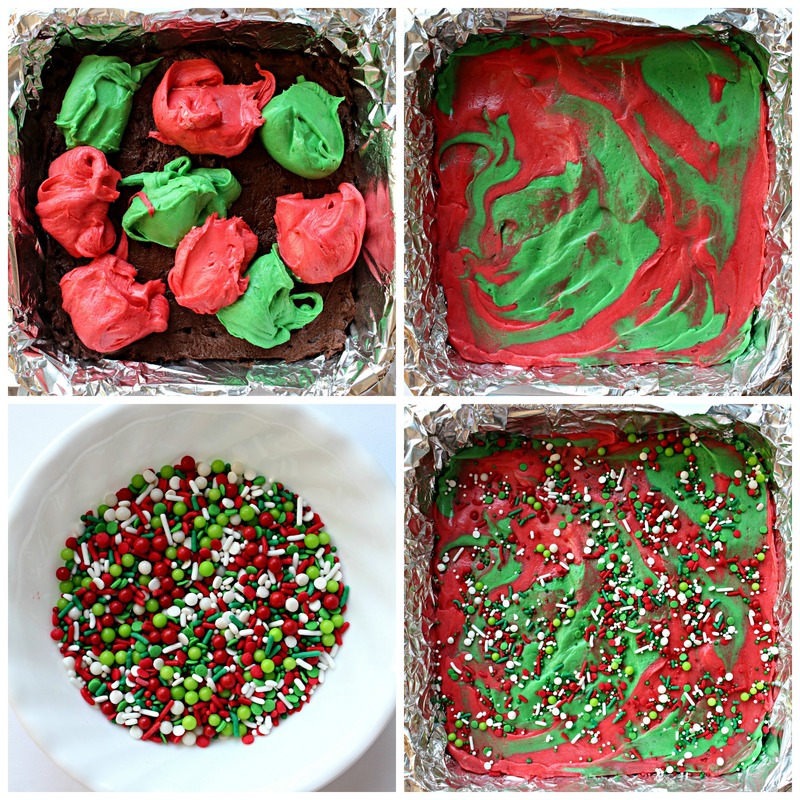 Use an offset spatula or spoon to swirl and spread the colored dough pieces to cover the brownie dough layer completely. Add sprinkles and press them gently into the dough surface with finger tips. Lay a sheet of foil across the top of each pan (not touching batter). The foil keeps the colored dough from browning and keeps the colors vibrant. Bake for 15 minutes covered in a glass baking pan or 25 minutes in a metal baking pan, Then remove the foil and complete baking for another 12 minutes or until the top is set. The top may appear a bit moist, but will firm as the brownies cool. Remove from the oven and cool completely in the pan (about 30 minutes). 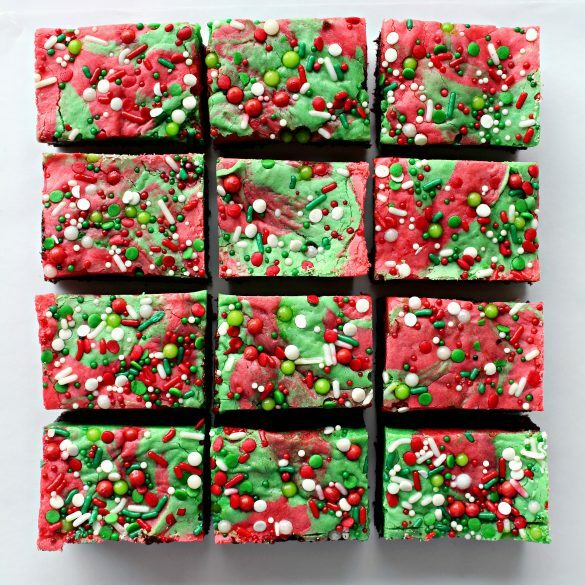 Store White Chocolate Peppermint Christmas Brownies at room temperature in an airtight container or freezer weight ziplock bag for up to 2 weeks. Wrap individual brownies in plastic wrap. Place stacks of wrapped brownies in freezer weight ziplock bags. Brownies can also packed in plastic storage containers with wax paper between layers. Be sure there is no wiggle room inside the container. Fill empty space between the brownies and the lid with crinkled wax paper. For long distance shipping, I recommend shipping White Chocolate Peppermint Christmas Brownies uncut for longer freshness. Wrap the entire 8”x8” square of brownies (removed from pan using the foil overhang) first in foil and then in plastic wrap. Then insert the wrapped brownies into a freezer weight gallon ziplock bag. Include a few plastic knives for cutting. This is a sponsored post written by me on behalf of Bob’s Red Mill. All opinions are 100% my own. I only use and recommend products I believe in. That swirl on top is too cool Wendy! And so festive and perfect for this time of the year! I’d like to come live in your kitchen! You always make the most fun treats! Thanks so much, Carlee! You are welcome in my kitchen any time! These were a lot of fun to make. I’m hoping they generate some smiles. These are just beatuiful Wendy and I love the easy technique! 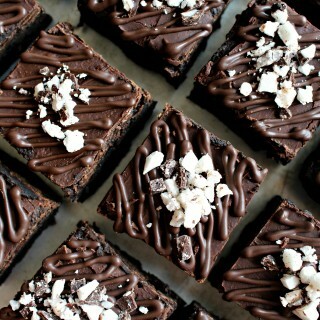 We will love these special brownies! Hope you are having a good week and thanks so much for sharing with us at Full Plate Thursday! These will be delicious Brownies, we will really enjoy them! 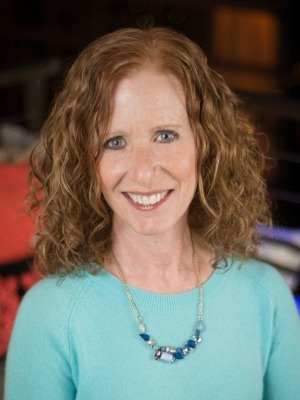 Thanks so much for sharing with us at Full Plate Thursday and may your holidays be blessed!